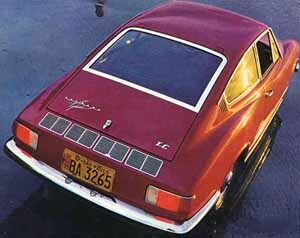 From 1962 to 1971, the Brazilian Volkswagen plant produced the Type 14 - otherwise known as the Karmann Ghia. The Brazilian-made Karmann Ghia is a slightly different beast than its US and European counterparts. A significantly lesser-known, and radically different Karmann Ghia was produced exclusively in Brazil from 1972-1976 - the Karmann Ghia TC. This section is dedicated to featuring the stylings of these southern-hemisp herical beauties. Special thanks to Geraldo Telles for providing the images shown here! 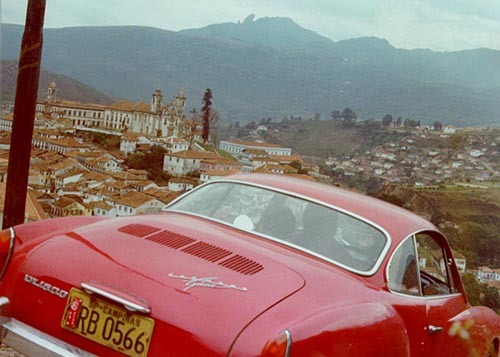 This glorious picture of a Brazilian-made Ghia was thoughtfully provided by Geraldo Nonato Telles and was taken in 1978 by his wife. Geraldo and his daughter were descending a very steep hill just outside the historic city of Ouro Preto (Black Gold). The hill was so steep, he had to simultaneously use both the foot and hand brakes to successfully navigate the descent! Thanks Geraldo! This is the Brazilian Karmann Ghia TC - a "fastback" unique to the Brazilian market. 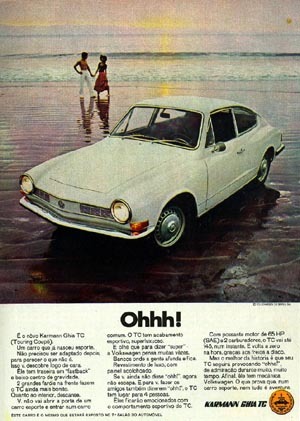 The ad roughly reads "A large void exists behind the Karmann Ghia TC" and the text goes on to say it is "due to the distance between the TC and all other cars." The TC's 65 HP engine came with dual carbs and "garantindo torque para arrancadas rapidas e deslanche nas subidas" (hey, Portuguese is hard! ), with disc brakes. It was produced between 1972-76. Another ad for the TC (Touring Coupe)... the title says it all. "TC tem acabamento esportivo, superluxuoso!" "Make your friends say 'Ohhh' too - there's space for four people"
Another shot of the TC thoughtfully provided by Fabio Quirino. 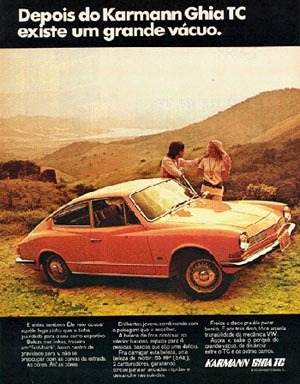 From 1974-1976, VW Brazil produced the SP-2 (right), shown here next to the TC. It was made to honor Sao Paulo (hence the SP), home of the central VW manufacturing plant in Brazil. The Brazilian Karmann Ghia plant did not participate in its development. It was built on a Type 3 frame, and is now quite rare despite a rather large production. 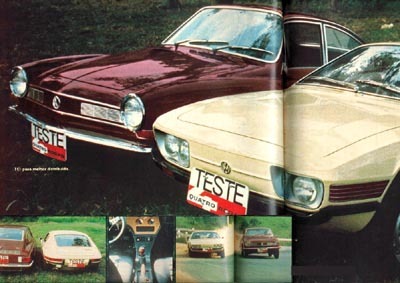 Interestingly, the SP-2 resembles a Porsche 928, while the TC's profile shares similaries with the 911 (and Ford Pinto). More info on the Brazilian and T3 Ghias can be found here.